Thierstein had begun his teaching career upon his graduation from the Halstead Seminary. He taught in several Kansas schools 1896-1903, and at Bethel College 1903-4. 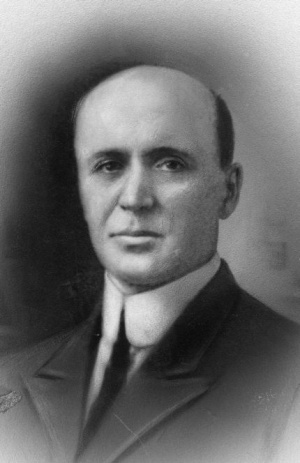 In 1904 he became president of Freeman Junior College, serving for four years. In 1908 he returned to Switzerland for graduate work, receiving his Ph.D. from the University of Bern in 1910. His dissertation was entitled Novalis und der Pietismus (Bern, 1910). For five years he then served as principal of the Atchison County (Kansas) High School. In 1915-21 he served on the faculty of Bluffton College, after which he came to Bethel College where he, served until his death in such capacities as professor of education, German, and French, director of the teacher placement bureau, and editor of the Bethel College Monthly. Schmidt, John F. "Thierstein, John R. (1867-1941)." Global Anabaptist Mennonite Encyclopedia Online. 1959. Web. 22 Apr 2019. http://gameo.org/index.php?title=Thierstein,_John_R._(1867-1941)&oldid=78114. Schmidt, John F. (1959). Thierstein, John R. (1867-1941). Global Anabaptist Mennonite Encyclopedia Online. Retrieved 22 April 2019, from http://gameo.org/index.php?title=Thierstein,_John_R._(1867-1941)&oldid=78114.